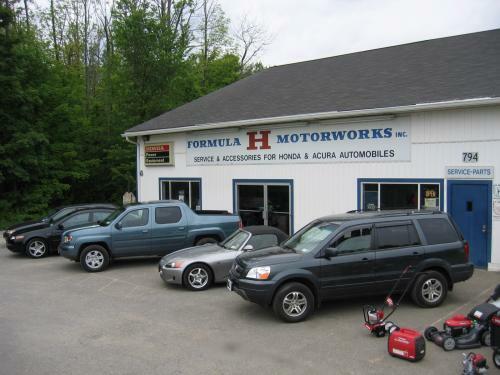 About Formula H – Formula H Motorworks, Inc.
We distinguish ourselves by not only offering precision service for your car more affordably than a dealership but also by very importantly giving personal attention to you, the owner. All work is fully explained; both that which is recommended and any that is ultimately performed. No unnecessary work is ever done; our business ethic is built on integrity. We use genuine Honda & Acura parts with service and repair prices that item for item, are less than the dealer. Look for our license plate frames and ask one of our loyal customers how they feel about us. In 1988 Formula H Motorworks opened for business. Founded by two brothers, Brian and Jeff Baker, who shared a deep passion for all things Honda, it was the first independent service center in the area to service only Honda and Acura vehicles. It was a new concept at the time but one that has proven hugely successful over the years – to give Honda and Acura owners an alternative to dealerships for service and repair of their vehicle, other than the corner garage. Then and now the plan remains simple. Give precise and professional service to the vehicle and its owner. 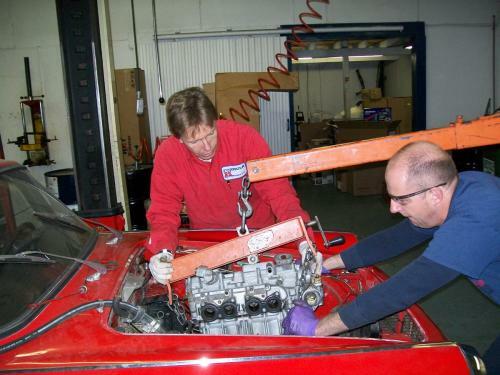 It is important to give the car its proper service and repair but equally important to us that you, the owner, fully understands the work that is being performed. 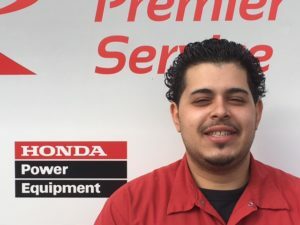 To keep your Honda or Acura in top shape, we use genuine Honda and Acura parts and factory service procedures with all the latest information available to dealerships. Over the years Formula H has become more than a name, it’s now a reputation, one that we are proud and protective of, and one that often results in us being recommended to others by our long list of satisfied owners. 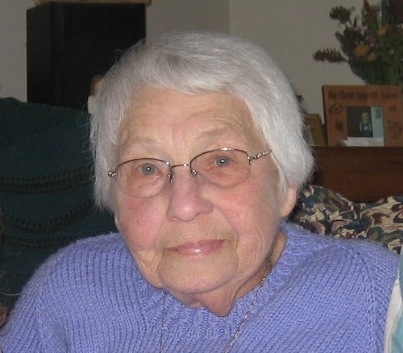 “Mom” Baker (1921-2008) was our original cheerleader and financial backer, without whom, Formula H would never have happened. Our first bookkeeper, she transitioned from manual books to the more organized Check Write system, and finally onto the computerized quick. Known and loved by the staff, as well as all customers with whom she came in contact, we couldn’t have done it without her. Missed and loved by all. That statement is for the benefit of those of you who don’t already know me. But even for the people that do, a question that is often asked is, “How did it all begin?”. I’ve been involved with Honda automobiles for over 40 years now. It all started when I remembered seeing advertisements for a small Honda known as a Z600 Coupe. I thought this might be an interesting adventure for my first automobile purchase. After months of searching (with my father’s help and wisdom), I finally found a clean 1972 Z600 which I purchased in April of 1977 at the tender age of 15. I fixed and drove this car throughout my high school years. In my senior year, a friend advised me where he had seen another Z600 for sale. I originally purchased this car with the intent of it being a parts car, but later ended up restoring it. Here I was, 17 years old, with TWO Z600s. Still, something was missing. I wanted to find an earlier Honda. One of the first cars Honda had built, an S600 or S800. I hadn’t seen any in person, but I had heard and read about them. I had even seen a couple of photographs…coupes and convertibles! I had to find one! Around this time, a friend of mine who also owned a Z600, introduced me to a friend of his. He owned an N600 and TWO S600 roadsters! We quickly became friends! I begged and pleaded with him for a long time to sell me one of his S600s, but he always declined. Finally, on September 12, 1981, I purchased my S600 roadster from him. He really didn’t want to part with either, but financial circumstances forced him to sell me one. Now, here I am at 19, with THREE cars! Try convincing your mom that you need three cars at that age! Up until this time, I had been working part-time in the running shoe business, one of my other passions. 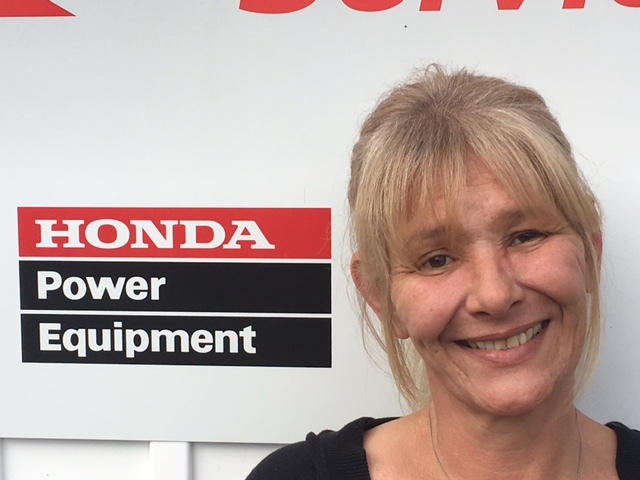 With my mom’s encouragement, I switched careers and started working at a local Honda auto dealer as a parts counter-person. 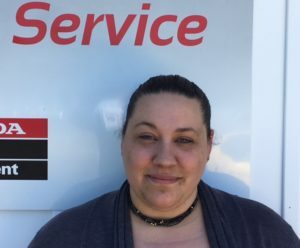 After a short time, I was promoted to service advisor, and eventually service manager. Within five years, I ended up managing both the parts and service departments. I thought it was great, except that I became aware of many practices that I didn’t agree with. After meeting with management, and not being able to agree on ethical concerns that I had, I decided it was time to leave the dealer and go into business for myself. That was February 1988. We opened for business on June 1, 1988, and haven’t looked back since! 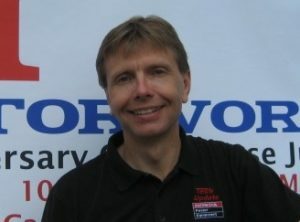 I started in the automotive business in 1985, and found my career. I have always been a car freak and love working with people. I joined the team at Formula H in 2003 and found a home. The staff and customers have become my second family. Vicky S. has 2 years of service with Formula H.
I have been in the service industry for 20+ years in different fields. It has always been my goal to provide professional & courteous service to all customers. Here at Formula H, we strive to keep your Honda/Acura performing at its highest level possible. I am proud to be a member of the Formula H family! I have always had a healthy appreciation of all types of cars, and this was solidified when I married into a family that is serious about their vehicles. While this is my first time working in an automotive setting, I am so happy to be here at Formula H! I look forward to working with everyone here as well as our wonderful customers for many years to come. Hi, I’m George! I’ve been a professional auto technician since 1980. 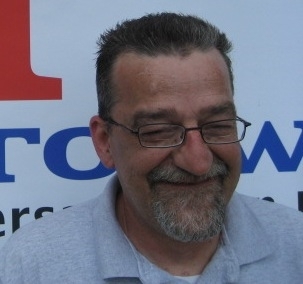 I started at a Honda dealership in 1986, where I worked for 20 years. Now I enjoy working at Formula H, where I feel we are more in tune with customer needs and budgets. In my free time, I enjoy the company of my family and our three dogs. 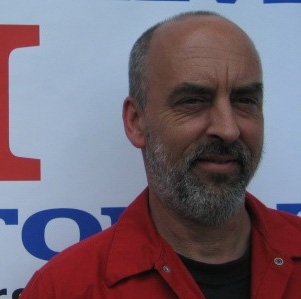 Tim Forster has 2 years of service with Formula H.
George, my father, taught me everything I know about Hondas & Acuras. I’ve been working on cars for as long as I can remember. Everybody at Formula H has the same passion and enthusiasm for fixing cars as I do, and it feels like we are one big family here! Delwin Reyes has 2 years of service with Formula H.
I graduated from tech school in 2010. 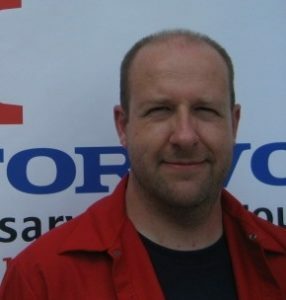 In 2012, I started assisting my family with auto repairs, and fell in love with this career. 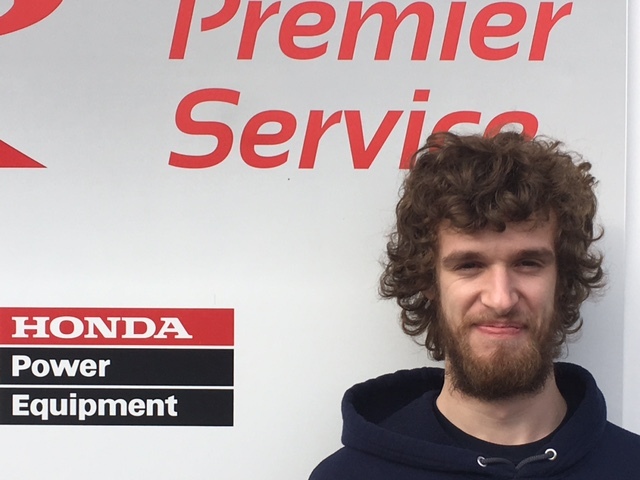 In 2016, my prayers were answered when I was hired at Formula H, where we service Hondas & Acuras, Honda Power Equipment, and do restoration work on the older Hondas, including the S600s and the S800s. If it wasn’t for my coworkers, better known as my second family, I wouldn’t be as knowledgeable as I am today. I’m very thankful for Formula H! 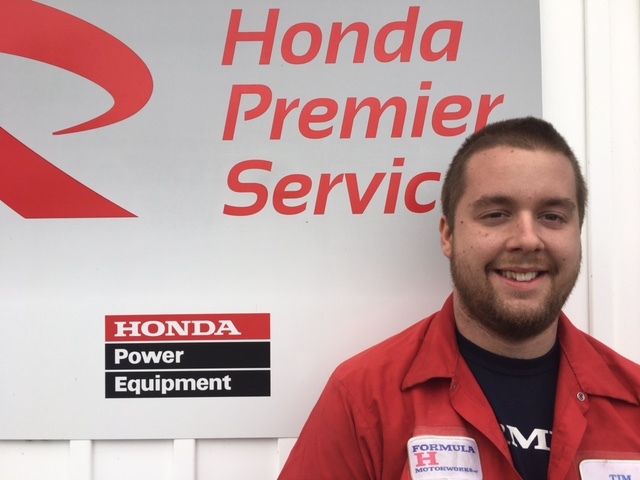 Ian Werkmeister has 1 year of service with Formula H.
Hi, I’m Ian. Although I am fairly new here to Formula H, I quickly grew fond of all the great people involved here. I had done some work on vehicles with my father when I was younger, and later on my own. I am grateful to be a part of this family now and learn more from some wonderful people.